Your gallbladder is a small organ that can cause big problems if you don’t take care of it. When working properly this pouch the size of a deflated balloon stores bile produced by the liver. It squeezes that bile into the small intestine to help with digestion, particularly foods with higher fat content. That’s when it’s working properly. So, what increases the likelihood someone will develop gallstones? “Factors that have been found to have an increased risk of developing gallstones include increasing age, being female, and obesity. Gallstones are also more common in certain families which suggests a genetic component as a risk factor. What does this mean for the average person? 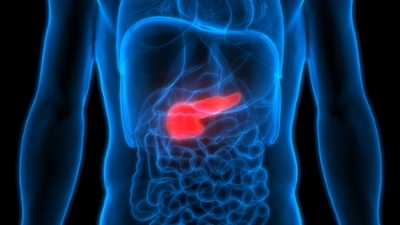 “When it comes to your gallbladder, there is no secret solution. It is about following generally healthy habits,” says Dr. Enniss. Avoid excessive amounts of saturated fats and animal fats. Cut out refined carbohydrates from foods such as candy, soft drinks, cakes, cookies, and white breads. Increase dietary fiber through fruits and vegetables. Beyond a gallbladder friendly diet there are several lifestyle changes you can make to improve your overall health – and the health of your gallbladder. Maintain a healthy weight and stay active. Avoid rapid weight loss, which can cause your gallbladder to work harder than usual. Stop smoking. You already know it’s bad for you, and it has been found to contribute to cancer of the gallbladder.